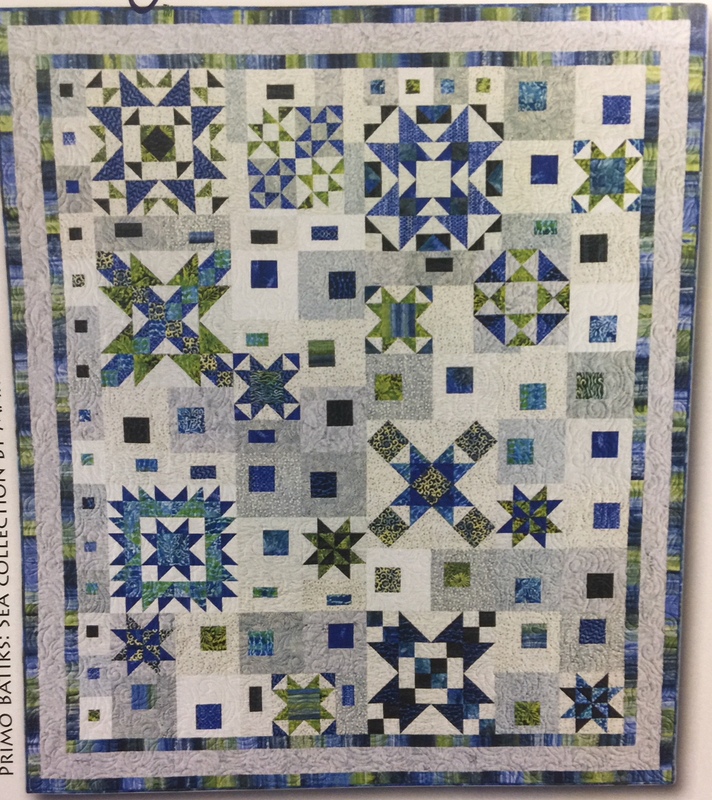 This is a beautiful quilt designed by Sarah J. entitled “Graphic Gems”. 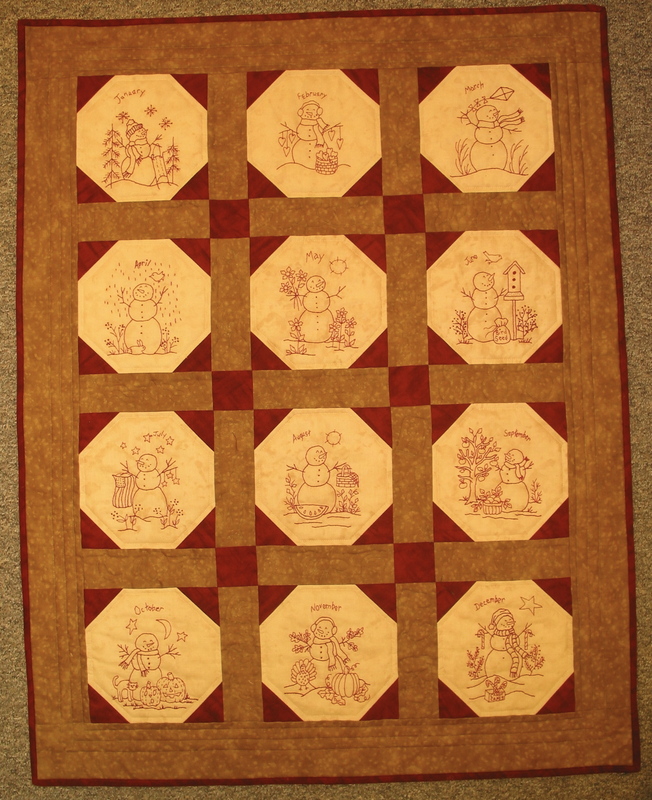 This quilt measures 76″ x 87″and is a 9 month program. 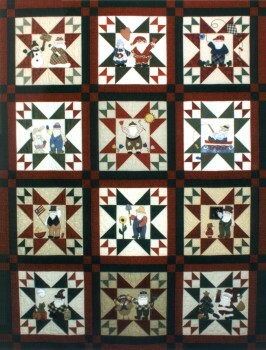 You will buy the pattern up front and then purchase a layer cake each month. 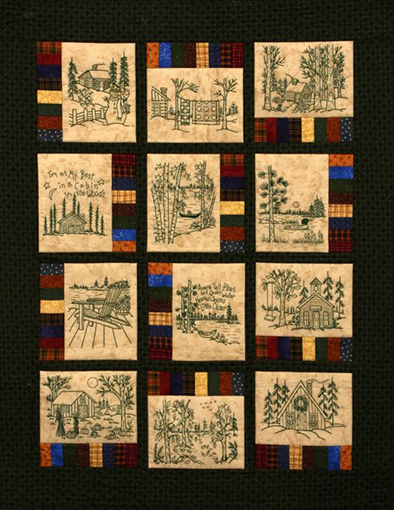 This layer cake has enough fabric for you to make all the blocks and the setting units that month. A fun new idea for you to try!